Kitten Games - BikeGames.com - Play fun free bike games. 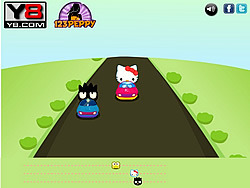 Hello Kitty is participating in a race event with her friends. Help her to grab the title! !